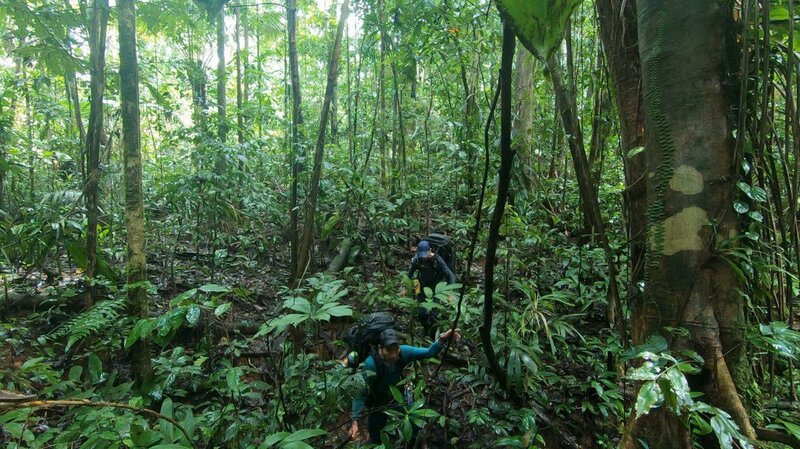 The Amazon has over 1,100 tributaries, 17 of which are over 1,500 kilometres (930 mi) long. Here is a list of the more notable ones. Click on the name to read more about them on Wikipedia. Rivers flowing over gently sloping ground begin to curve back and forth across the landscape. 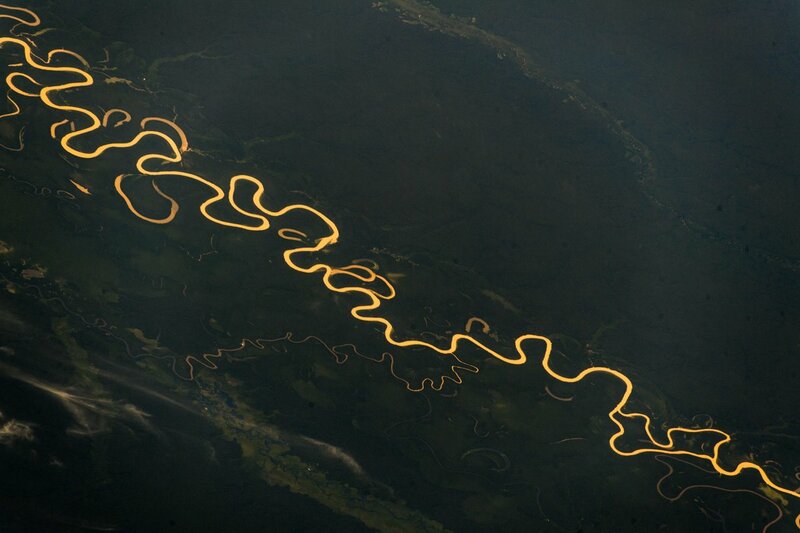 These are called meandering rivers. Meandering rivers sediment from the outer curve of each meander bend and deposit it on an inner curve further down stream. This causes individual meanders to grow larger and larger. Meandering river channels are asymmetrical. The deepest part of the channel is on the outside of each bend. The water flows faster in these deeper sections and erodes material from the river bank. The water flows more slowly in the shallow areas near the inside of each bend. The slower water can’t carry as much sediment and deposits its load on a series of point bars. A tributary or affluent is a stream or river that flows into a main stem (or parent) river or a lake. A tributary does not flow directly into a sea or ocean. Tributaries and the main stem river serve to drain the surrounding drainage basin of its surface water and groundwater leading the water out into an ocean. Oxbow lakes form when a meander grows so big and loopy that two bends of the river join together. Once the meander bends join, the flow of water reduces and sediment begins to build up. 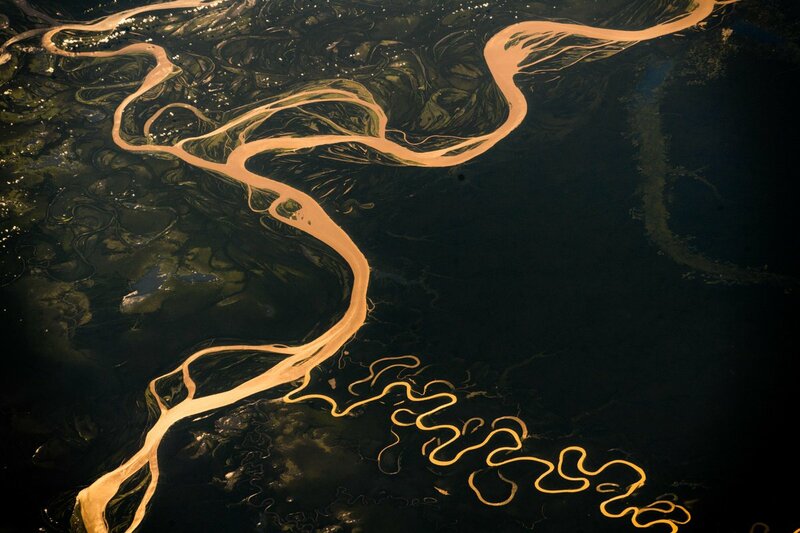 Over time oxbow lakes will fill with sediment and can even disappear. The point where the two bends intersect is called a mean. The low-lying area on either side of a river is called a floodplain. The floodplain is covered with water when the river overflows it banks during spring floods or periods of heavy rain. Sediment is deposited on the floodplain each time the river floods. Mud deposited on the floodplain can make the soil really good for agriculture. 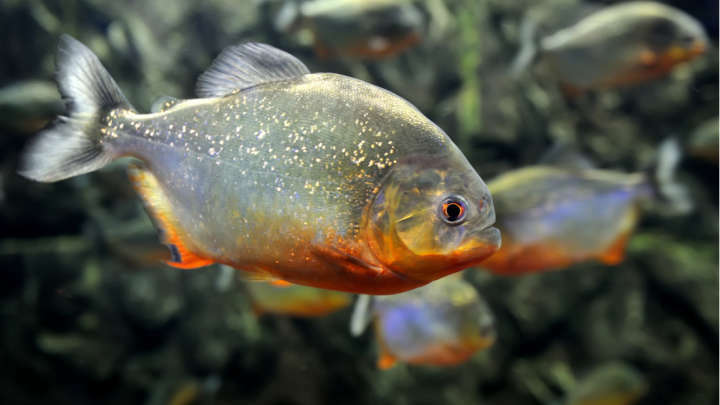 Along the Amazon River and many of its tributaries, high annual rainfall that occurs mostly within a rainy season results in extensive seasonal flooding of areas from stream and river discharge.The result is a 10–15 meter rise in water level, with nutrient rich waters. This is called the Várzea. An estuary is a partly enclosed coastal body of brackish water with one or more rivers or streams flowing into it, and with a free connection to the open sea. Estuaries form a transition zone between river environments and maritime environments. They are subject both to marine influences—such as tides, waves, and the influx of saline water—and to riverine influences—such as flows of fresh water and sediment. The inflows of both sea water and fresh water provide high levels of nutrients both in the water column and in sediment, making estuaries among the most productive natural habitats in the world.